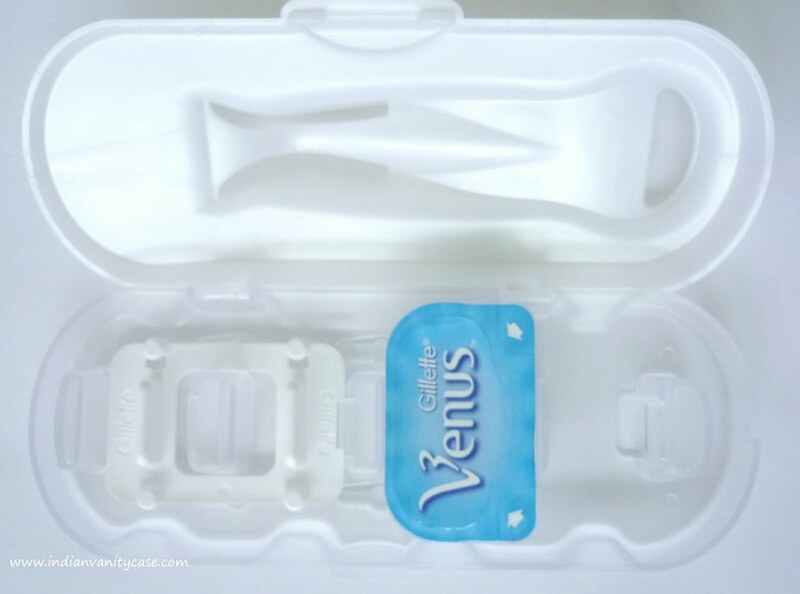 Indian Vanity Case: Gillette Venus ~ Best Razor Ever! Gillette Venus ~ Best Razor Ever! 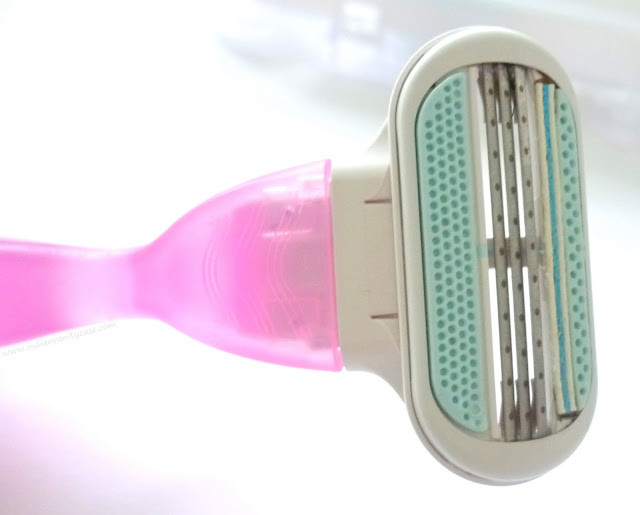 Loving, loving, LO-VING Gillette Venus Razor! It's the best razor I've ever used. And it's pink! Indicator Strip ~ It has a blue stripe that fades when you are no longer getting the optimal shave. Venus Shaving Compact stores your razor and up to 4 sealed ShowerSafe blade refills together in the shower. The best thing about it is the pivoting head, which moves with the contours of the body. Shaving underarms is a cakewalk! I always use it with Gillette Satin Care Shave Gel, for a smoother shave. It is one of my favorite beauty tools, for sure. Now I just have to find some more refills. So... which is your favorite razor? why do you use one? Have you tried the ones that have the shave cream bar attached to the razor? I like those because it is super convenient. I use, I think the same razor but I want to get laser ASAP. I hate hair. anywhere except head. I used a razor I got from Singapore [I think Tic] but I got heat boils so I prefer waxing always. I use the Gilette Fusion Proglide Power. It's meant for men so it wears out a lot faster but I get a much better shave than with any of the women's razors. I prefer waxing though... but i get tempting to use a razer cause it saves time n money and its painless XD. But the after effects doesnt suit my skin. I have seen these in this site. Really? :( Im really afraid of shaving though :( I once shaved my legs, result was cuts all over my legs. I think i need to learn how to do it! hey where can i buy one? i use glide bikin razor only as of now as did not like any other razors, but this one sounds good, am from mumbai. i always prefer waxing but razor is the most handy and life saving product. although i use ORIFLAME but dying to get this one and its much more cheaper than mine.